John McFarlane has been arrested for the murder of Jonas Oldacre, owner of the Norwood Theatre, and has sought the help of Sherlock Holmes and Dr. Watson to prove his innocence. 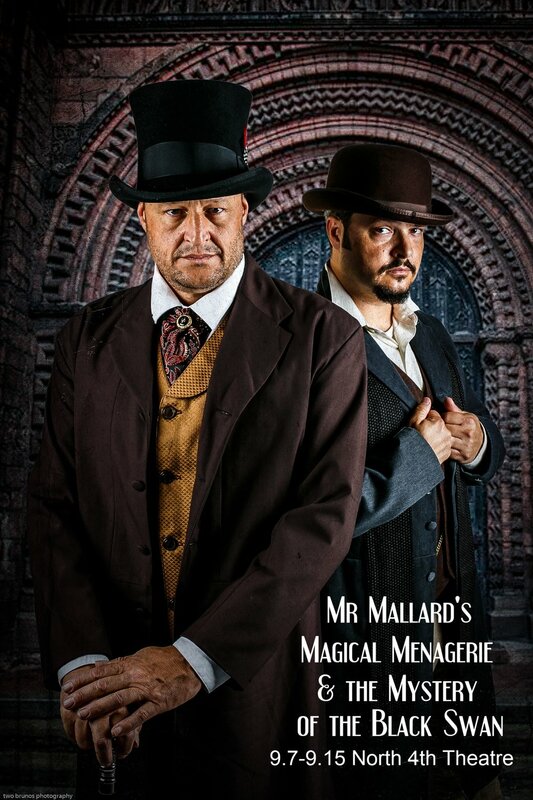 Mr. Mallard’s Magical Menagerie is about to premiere on stage with murder, mystery and intrigue lurking in the wings. The game is afoot this fall as elite premieres it's newest production. Scene One - Lestrade, the Victor! The working title "Mr. Mallard's Magical Menagerie and the Mystery of the Black Swan," has been in my head for several years now. I knew that I wanted to do a Sherlock Holmes mystery but also realized that I needed the right people in place to make it happen. Writing a mystery is a daunting task, so when Steve Corona and Cara Sowers were willing to jump on board and help me out, I figured it was time to work on a new show. For more than six months, we met weekly at the Starbucks in Bernalillo. We were quite the spectacle as we sat for hours, each of us with a computer, reading sections (in character of course), and hashing out ideas (sometimes passionately)! My husband quickly nick-named us "The Finer Things Club", which we proudly adopted as our team name. Working with Steve and Cara was such a blessing to me. Having never co-wrote before, I was worried about how things would work. I couldn't have asked for a better writing team and even better friends. Sometimes our writing would take a backseat for times of just talking and sharing life with each other. Something all three of us needed and appreciated! Thank you, Steve and Cara. elite shows are never about one person, but about a whole team of passionate, hard working, creative people. From writers, to directors and coaches, to choreographers, costumers, reception folks, to dancers, actors, backstage crew and more...we all work towards one goal: good storytelling! What a great team we have at elite. Thank you, my elite peeps! Our team hopes you enjoy watching this show as much as we have enjoyed creating it for you. Thank you for your continued support of elite and our shows. Cheri Costales has been writing scripts and directing shows for the elite Company for over fifteen years. 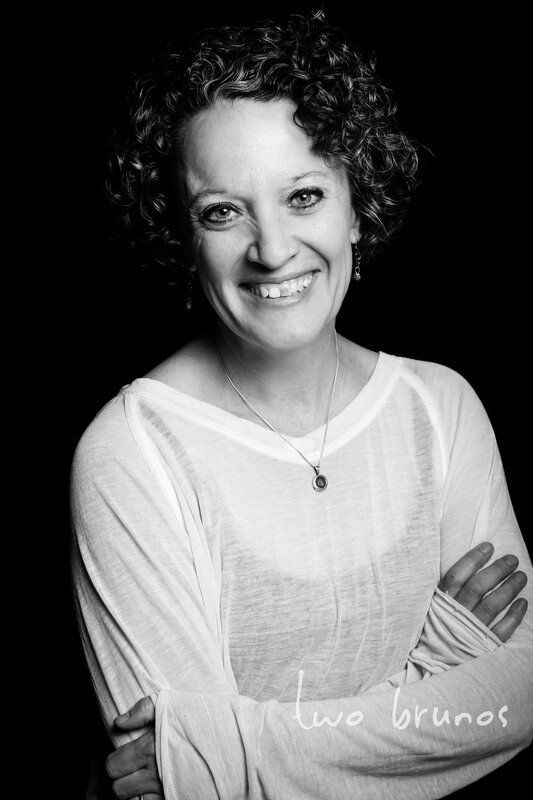 Her writing mostly consists of derivative work, adapting stories to work for dance theatre (The Picture of Dorian Gray, A Christmas Carol, Dracula, Peter Pan, The Scarlet Letter, Cinderella, The Jungle Book, Beauty and the Beast). Her most recent work has included original scripts: Days of the Dead, The Shoe Room, and elite Kids Theatre Projects: The Problem With Fairies, Benny & the Supersquad, Around the World in 80 Days and How The West Was Really Won.